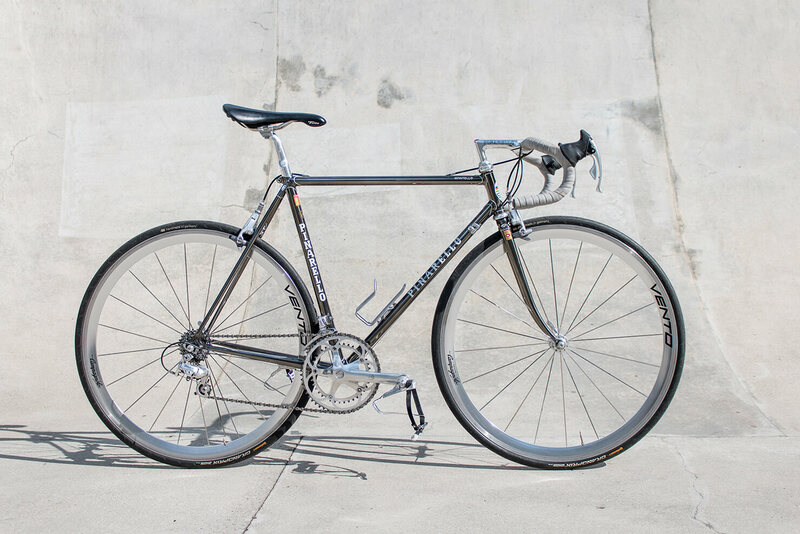 The Pinarello Montello frame was the hallmark of the whole Pinarello line during the 1980s. Built with Columbus SLX tubing the Montello’s features are a interior derailleur cable construction, a front derailleur mount, shift lever bosses, a chain hanger, a chromed rear triangle, a chromed special plug-in cast aero sloping fork and a distinctive special Pinarello designed investment cast bridgeless bottom bracket shell. 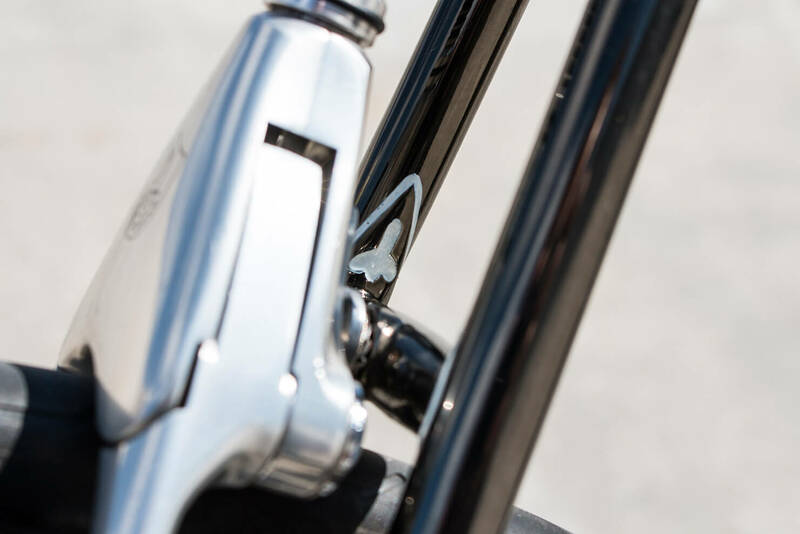 The frame is pantographed with several Pinarello „P’s“ and various decorative elements. The Montello colors were Nuovo Red, Blue Record, Spumoni, Silver/Fucsia and the very special Cromonero color. 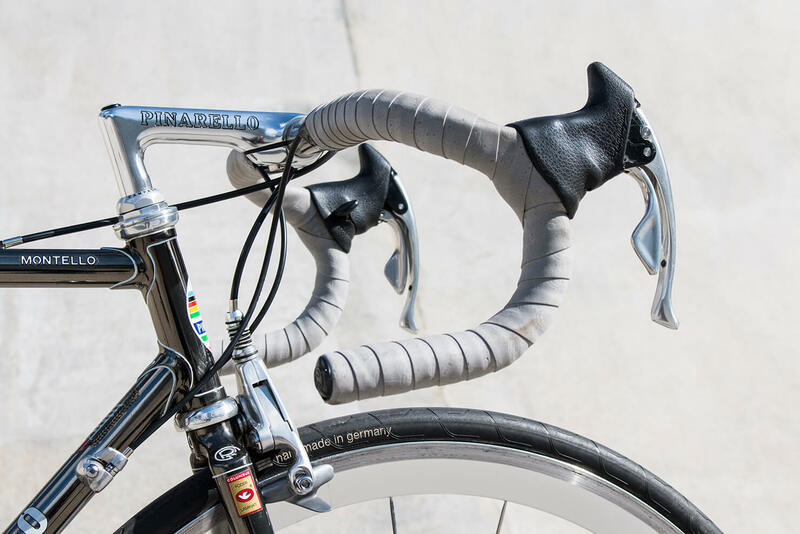 Also available as a complete bicycle with Nisi rims, 3T handlebar und stem, Vittoria tires and any Campagnolo or Shinmano group the Montello was the top product in Pinarello’s product line. It even was available up to a frame size of 65cm. 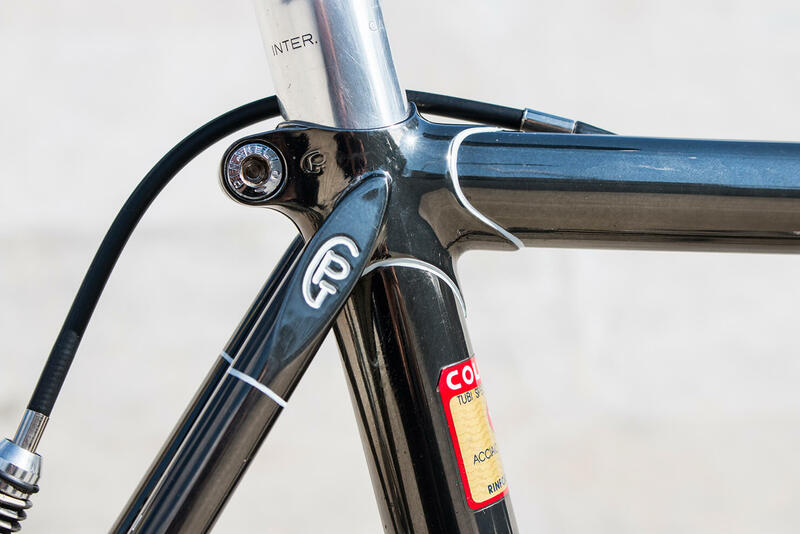 The special black glossy Cromonero finish was based on the Cromovelato painting technique which means clear-coating a completely chromed frame. However the Cromonero was painted with a colored clear-coat on chrome. Unfortunately there is no way to reproduce this technique nowadays because of the extremely toxic chemicals involved in this process. Over the years a lot of world class riders have been ridden to victories on Pinarello bicycles. Fondriest, Battaglin, Van Impe, Delgado, Bertoglio and Grewal just to name a few. Alexi Grewal won the 1984 Summer Olympics Road Race on a Pinarello Montello. 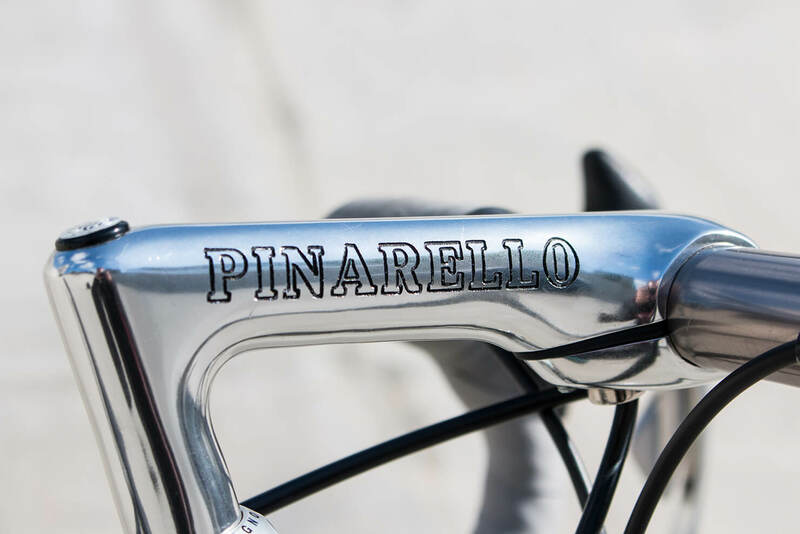 Till this day Pinarello bikes are highly sought after collectors’ items. 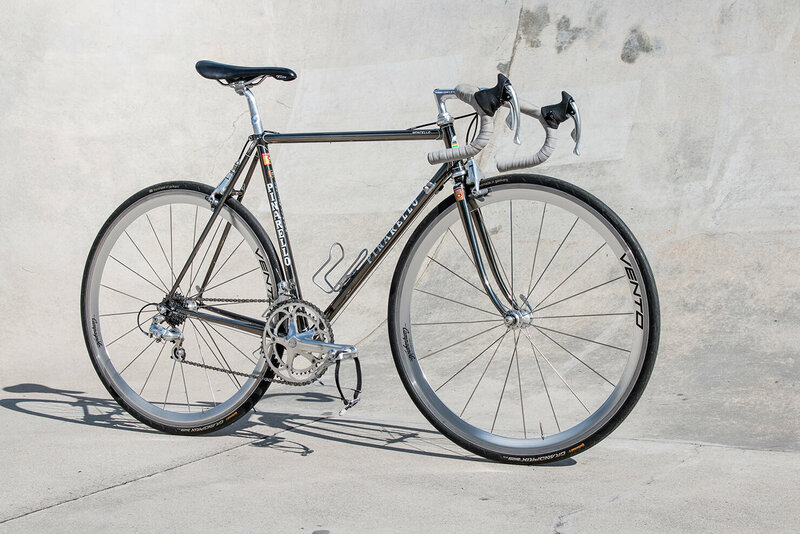 This rare Pinarello Montello Cromonero from 1989 was a very special project for us. Still it is one of our favorite The Hunt Cycling builds ever. 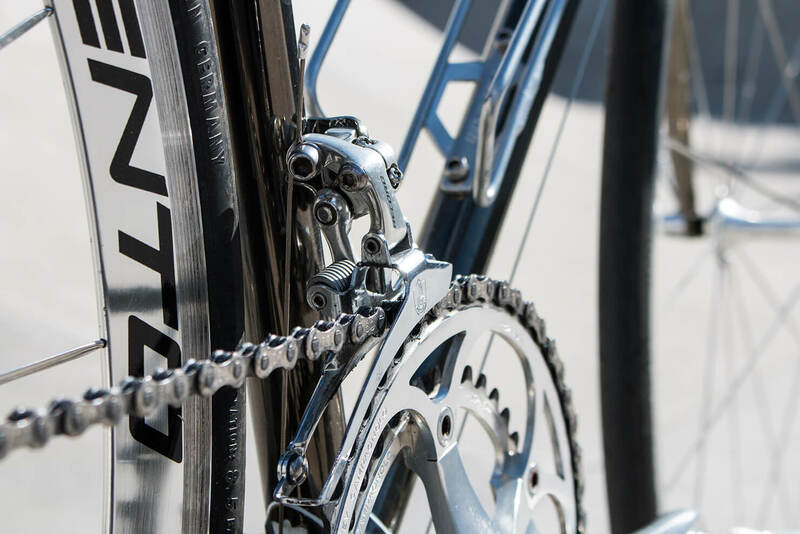 Head over to the Pinarello Steel Collection to see more Pinarello bling bling.